To maintain H.E the presidents strong leadership in dealing with issues of regional peace and security. To contribute to maintaining regional and international peace and security. To review the licensing regime for Telecom and broadband operation to ensure their operations are in line with the ICT Sector strategic objectives. 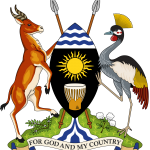 a)National Coverage – Every operator that seeks a national operator license must be able to cover the entire geographical place of Uganda so as to enable access, promote effective competition and quality of service. b)Spectrum management – the spectrum being a scarce and finite government resource, needs to be managed and utilized efficiently, optimally and rationally. These resources should not be owned by the private telecom service providers. This is also intended to outlaw hoarding of spectrum and enable realization of economic value of the spectrum through spectrum re-farming. The principle for all operators will be, ‘use it or lose it’ and no operator whenever selling its stake through mergers and acquisitions should ever have a claim on spectrum. The policy also aims for unbundling of spectrum license. c) National roaming. Roaming refers to the ability of a customer to automatically make and receive voice calls, send and receive data, or access other services, even when travelling outside the geographical coverage area of his service provider, by means of using the service of the other service provider’s network. Currently within the country, customers of one service provider cannot access the ICT services of the other service provider. The policy aims to enable customers to have a seamless access and coverage for customers irrespective of their network. This will ensure universal access to ICT services. d)Number portability – this refers to the possibility for subscribers to retain their telephone number when changing network operators or when changing geographic location. Currently the customers cannot switch from one service provider to another without changing the telephone number. The policy aims to empower the customers to choose their service providers without the challenge of changing telephone numbers. e)Structured renewal of license – currently there is no clear policy for renewal of all licenses yet some licenses stipulate automatic renewal on expiry of the current license. This policy aims to provide for a structured renewal framework for the licenses taking into consideration the rollout obligations, quality of service and technological developments. f)Local listing for all telecom operations as a licensing condition will help mitigate capital flight among other benefits of local content development opportunities that come along. Was briefed and noted the process of renewal of MTN Uganda operation license for a period of 10 years. The Minister of ICT and National Guidance was given a go ahead to give a No objection to Uganda Communication Commission to renew the license with new stringent terms in pursuit of Broadband policy goals. Cabinet also tasked the Minister of ICT and UCC to work with the Attorney General to ensure that the operator license for MTN has clear terms and conditions that aim at ensuring quality of service. It was further noted that when the then Minister of Works and Communications issued the first license to MTN in 1998, the challenges were different. The concern then was more about telephone penetration which MTN and other operators helped to achieve. The license conditions then were not stringent enough about quality of service obligations as demand and uptake of the voice and data service was low. The concerns of today are mainly about reliability and affordability of services. Approved the proposed charges for specialized services to be provided by the newly constructed Mulago Specialized Women and Neonatal Hospital. Details of this will be communicated in due course by the Minister of Health.